Dominika was a long-time and excellent employee, who sadly left AmberBit to find her luck in Silicon Valley. We hope she returns to us one day :). 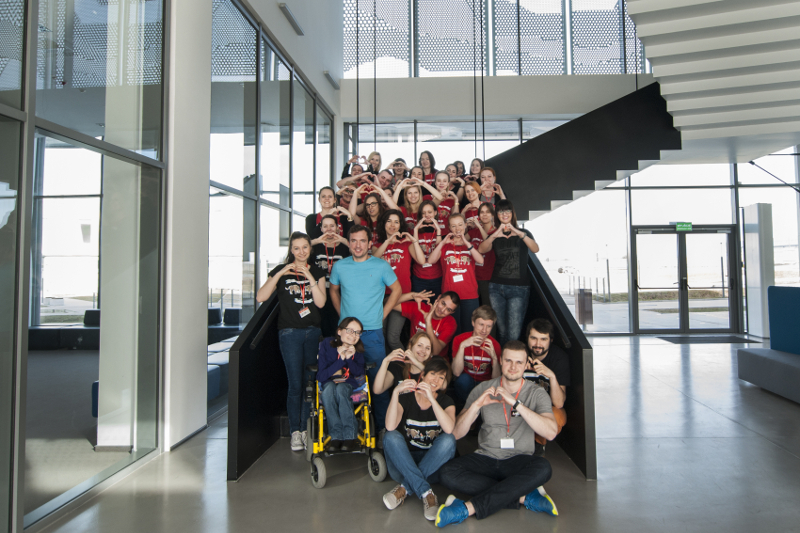 Few months ago I had the opportunity to be a part of the team that organized the very first Rails Girls Bialystok. The idea was to encourage women to become part of the IT community by organizing one of worldwide Rails Girls events. 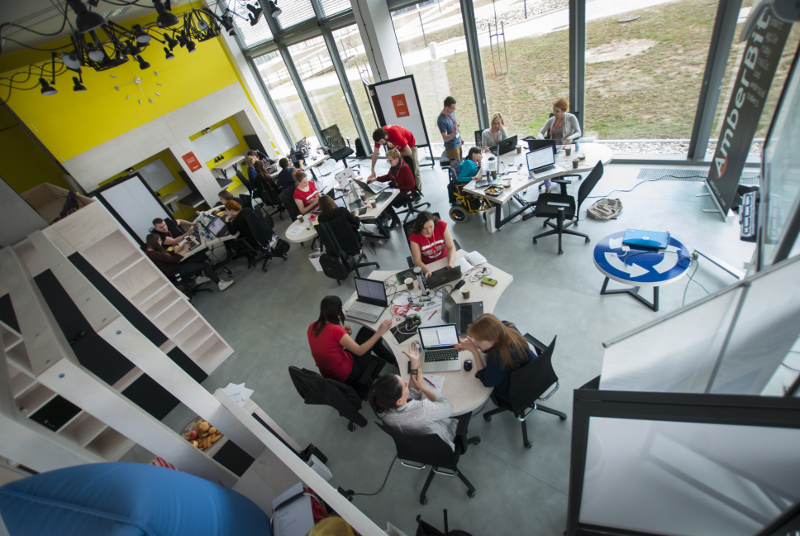 Rails Girls is a global, non-profit volunteer community born in Finland in 2010. Its main goal is to introduce woman to the world of IT by providing them with the opportunity to participate in a free programming workshop. 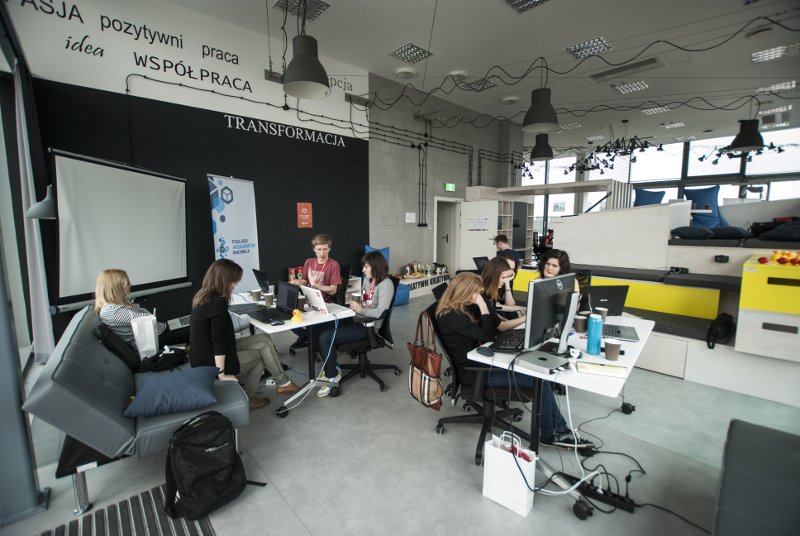 In Bialystok we had 7 groups and every group consisted of 3 mentees and 1 mentor. Every coach was professional Ruby on Rails web developer and even though not all of them had previous coaching experience, everyone did their best to explain and show the basics of web development. Besides coding, mentees could listen to the presentation of people who work in different IT fields such as UX design, project management, frontend and backend programming. What was also a pleasant surprise was an amazing amount of application we received. Over 200 people wanted to participate in RGB! Girls, under the guidance of mentors, learned how to create a simple Ruby on Rails web application - they were introduced to HTML, CSS, Ruby on Rails and general idea how the web application actually works. Depending on the group, an app was done by either following one of the tutorials available on the Rails Girls website or by implementing the idea participants came up with during the talk with their coach. Unfortunately not all of the groups were able to finish their projects as there were lots of things to learn, especially for people who tried to do it for the first time, and only 2 days to do that. But every single woman was able to become more knowledgeable about web development which was the most important. 21 women participated in the workshop - high school girls who weren’t sure whether IT field is something that they can even try to pursue, working women who wanted to change their career or just get better at their current job and even mature women who raised their children and decided it was high time to start pursuing their interests in computer science.